Joel Burcat has more than 30 years of experience assisting clients who are at odds with the government and neighbors in environmental and oil and gas enforcement cases, permitting disputes, and environmental crises. When the stakes are high, he conducts internal investigations and provides legal counsel on issues spanning from understanding the regulatory parameters, to initial response, to negotiations, and litigation of cases. His deep knowledge of the challenges his clients face to comply with state and federal environmental regulations extends across many industries, including manufacturing, land development, petroleum and chemical companies, oil and gas producers, and pipelines. Joel also supports these industries by handling transactions involving the change of ownership of contaminated properties and natural resources (including coal, non-coal minerals and oil and gas). Joel's previous role in what is now the Pennsylvania Department of Environmental Protection contributes to his insight about the process behind government decisions. Prior to entering private practice, Joel served as assistant attorney general, which involved litigating the types of environmental enforcement cases his clients now face. This past experience and his present work as a mediator helps Joel understand why clients need speedy and cost-effective resolutions to permitting and enforcement disputes. Joel's deep knowledge of environmental law, including laws affecting the oil and gas industry, is also demonstrated by his editing work. 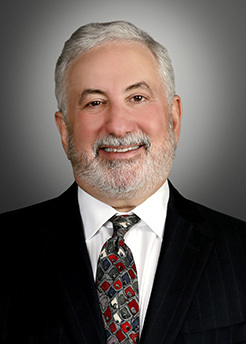 He served as the co-editor of Pennsylvania Environmental Law and Practice, from the first edition published in 1994 through the seventh edition published in 2012. He was also co-editor of the first edition and the 2016 edition of The Law of Oil and Gas in Pennsylvania. Both books are published by the Pennsylvania Bar Institute Press. Joel has deep experience responding to environmental enforcement proceedings set in motion by the U.S. Environmental Protection Agency, the U.S. Army Corps of Engineers, U.S. Department of Justice and state environmental agencies, particularly in Pennsylvania. He both represents clients before these agencies and negotiates with the agencies to set terms in consent decrees and determine penalties and corrective actions that take into account the financial impact on his clients. A municipality in its response to an enforcement proceeding brought by state environmental regulators and the attorney general from allegations of multiple releases of untreated sewage into state waters. The matters involved negotiation of a consent order and agreement that provided for payment of penalties along with obligations to undertake certain corrective actions. A major North American energy company in an enforcement proceeding involving the alleged release of ethanol into a state waterway from a storage tank along the riverbanks. The matter involved negotiations with state regulators that resulted in a more than 70 percent reduction of the penalty. A hospitality company in an enforcement proceeding brought by state environmental regulators from allegations of a release of untreated sewage into "high quality" state waters. Successful negotiations preserved the company's ability to operate its sewage treatment and, later, additional negotiations enabled the client to hook into a municipal sewage system. A pipeline company in a federal court litigation over whether it or another pipeline company was responsible for environmental contamination. After years of litigation, a favorable settlement was achieved for the client. An oil and gas exploration company facing charges of civil and criminal violations from the Pennsylvania Department of Environmental Protection and the Pennsylvania Attorney General. The representation resulted in a reduction of charges and a favorable outcome for the client. Joel helps companies navigate federal and state environmental agencies in their quest for permits to build projects that are regulated by the government and/or require considerations involving the impact on the environment. He also provides counsel on permitting disputes with these agencies. A petroleum and natural gas exploration and production company in defense of its permit for a produced water storage facility and in negotiations with state environmental regulators for permits for well pad sites. A petrochemical company in negotiations with state agencies in regulatory compliance matters involving air permitting and emissions testing at a petroleum distribution facility. Joel draws on his experience in dealing with environmental crises and his deep knowledge of the regulatory environment to help companies understand and navigate these unexpected events. He is also actively involved in conducting internal investigations regarding the cause of violations of state and federal environmental laws. A natural gas exploration and production company in a matter involving the alleged migration of gas out of a borehole at a well site and into the homes of nearby residents. A municipality facing allegations that its officials had illegally dumped raw sewage into streams. Joel helps clients in the purchase and sale of properties that have environmental contamination. His work has supported clients through site acquisitions/sales, as well as corporate mergers. Joel has also handled due diligence on a number of transactions, including the sale of a large regional gas producer to a national company. A leading independent power producer in the United States in an approximately $1 billion financing of a power plant, including negotiations with state regulators over the existence of natural gas wells on the property and the disposal of a pre-existing coal refuse pile. A real estate investment trust in the sale of a property involving disclosure of possible environmental contamination to the buyer and securing approval from state regulators. A national power producer in its purchase of a wind farm.